When I first started wood carving I didn't have any book or video so I just had to jump in right away. 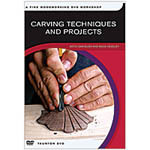 I soon figured out that it would be really helpful if I did buy a wood carving book. I bought a beginners guide to carving and then I really started having fun. I hope you have as much fun as I did learning to carve. Woodcarving magazine selects only the best for its pages. Whether you hope to tackle lettering, paneling, portraits, bodywork, bird carving, or architectural work, itâ€™s explained here in richly illust..
A wealth of information to guide you through the basics of relief carving and the specifics of wildlife relief carving. Includes 31 ready-to-use patterns. Written by Lora S. Irish. 116 pages. .. 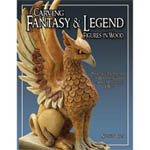 Learn how to create wonderful mythical creatures from wood with this latest book from noted author and carver Shawn Cipa. With useful tips and techniques, step-by-step guidance on carving a wizard and dragon, plus patterns and full-color reference photos for 10 additional projects. Now you can acquire the satisfying skills of carving wood. Youâ€™ll discover the basics of woodcarving, see how to carve an ornamental shell, and how to carve basic lettering. With Sam Bush and Mack Headley. Includes a bonus computer-accessible PDF text file of notes to the DVD workshop. 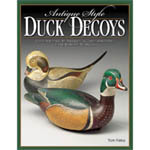 Create American folk art by learning to carve and paint the contemporary antique decoy. Experienced waterfowl hunter and champion decoy carver Tom Matus introduces you to the special world of the contemporary antique decoy. 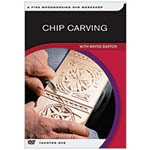 Chip carving is a wonderfully direct and simple way to decorate furniture, cabinets, boxes, plaques and utensils. In this step-by-step lesson that requires very few tools, Wayne Barton will show you how to carve 12-point rosettes, lace borders, free-form designs, Gothic border designs, Roman lettering, Old English lettering, and script monograms. Woodcarving is fun, any way you cut it! ..
A Pictorial Introduction to Wood Carving..